In a small saucepan, combine the cranberries, sugar, cider/juice, and salt. Heat over medium heat, stirring often, until it comes to a boil. Reduce to a simmer and cook until the cranberries pop and the mixture thickens, about 7 minutes. Set aside. In a large bowl, toss together the apples, lemon juice, flour, cinnamon, ginger, and nutmeg. Roll out your first pie dough and fit it into a 9-inch pie plate. Leave the overhang for now. Spread the apples into an even layer. Then top the apples with the cranberry mixture. Roll and place the second crust on top. Crimp together the top and bottom pie crusts along the edge of the pie, removing excess as necessary. Cut four slits into the top crust. Whisk the egg with 2 teaspoons of water. Brush the egg wash over the top of the pie crust (need not use it all, just a good coating). Sprinkle with the extra teaspoon of sugar. Bake until the crust is golden and the filling is bubbling through the slits, about 35-45 minutes. Let cool before slicing and serving. Top with vanilla ice cream, if desired. 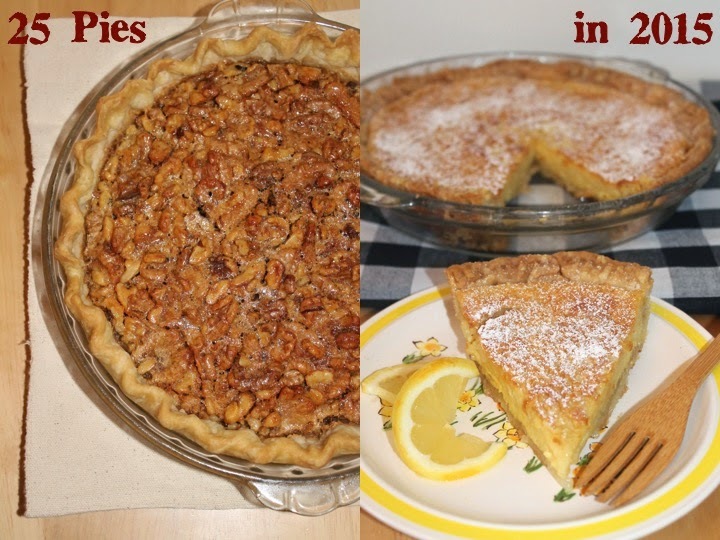 Check out the other 25 Pies in 2015 so far! I don't have much experience in making pie but it must be such a wonderful feeling to pull something like this out of your oven. Hope you'll have a great Thanksgiving this year! this is the perfect thanksgiving dessert, combining two of the season's best ingredients! love that hue! This pie looks wonderful! I have some fresh cranberries in my refrigerator that I've been trying to decide what to do with! Now all I need are some apples. Thanks for the recipe! You always have delicious pie recipes! I love this as a swap on the traditional side of cranberry sauce. 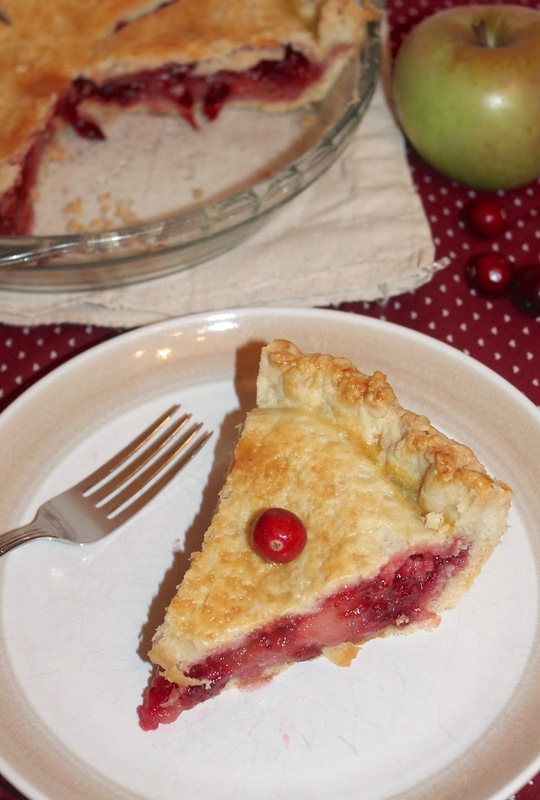 My family loves the tart flavor of cranberries, so this pie would be perfect! 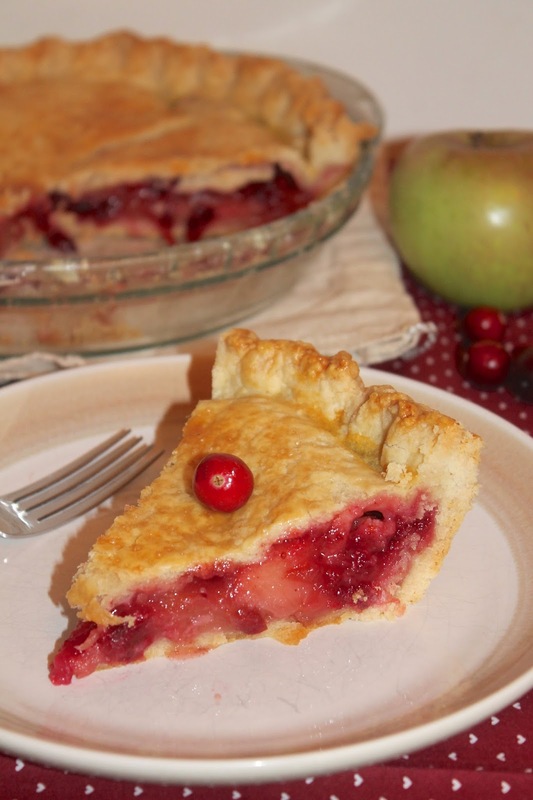 HI Amy, another fabulous pie, this is such a great way to enjoy cranberries, looks delicious. This sounds like a great combination–I love using fresh cranberries in recipes this time of year! I love pies of all sorts. Cherry pie must be my fave, but then I love apple, too. Then who doesn't love a good chocolate pie? And then there is pecan and fudge and butterscotch. OMG! Why did you ask that question? Hahaha - I know! Too hard to pick just one. Even though I'm not celebrating thanksgiving, I'm jealous that it means pie! Darn my English location. Gotta say, the best pie I've ever had was a caramel maple apple one. So good! Favorite pie pumpkin every time. But This cranberry apple pie looks marvelous. My kids absolutely love cranberry, I know, weird...rights. And I'm a crust girl, I just want to eat the whole rim! Bad girl. Love Western New York. And I need to learn from about fermenting from you! This sounds wonderful - and I don't think I've ever had cranberry apple pie so clearly I need to rectify that! Well, I've to admit that pecan pie has always been my favorite Thanksgiving pie. Not a fan of pumpkin or sweet potato pie, but I love any kind of fruit pie and what you created here with apples and cranberries looks delicious! Beautiful pie Amy...I have never used fresh cranberry...and would love to try...nice combination and beautiful color. I do love a nice fruit pie and this one looks delicious! I imagine the cranberry would add a lovely flavour whilst not being too sweet as you said. Amy, I have never rendered my own lard - I am impressed! And your pie looks absolutel yownderful - the flavor combination of tart cranberries and sweet tart apples is something that I really enjoy quite a bit! Yup, pretty much always time for pie here, too. :-) I always try to use lard in pie crusts -- much better flavor and texture, don't you think? Haven't rendered my own yet -- need to do that! Anyway, this is super -- thanks. I absolutely love apple pie, but what a lovely twist to add cranberries in to it too. This looks delicious. I love pie year round but for Thanksgiving, it's chocolate pecan for me! This looks so delicious!! I have never tried this type of pie but would love to. I've already stocking my freezer with fresh cranberries and can't wait to use them. Love this mix of apples and cranberries! Hi from Julia's Simply Southern Meal Plan Monday #89. Your pie is the first recipe that caught my eye. Pinned it for later. This is a perfect Thanksgiving dessert and a great alternative for those who are not pumpkin pie fans.